Entries for March’s photo will be accepted between 12.00am 1st March to 11.59pm 31st March 2019, winner notified on social media on 5th April 2019. Entry is open to permanent residents of Australia and New Zealand only. Employees of Seasol and their agents and members of their immediate family are not eligible to enter. 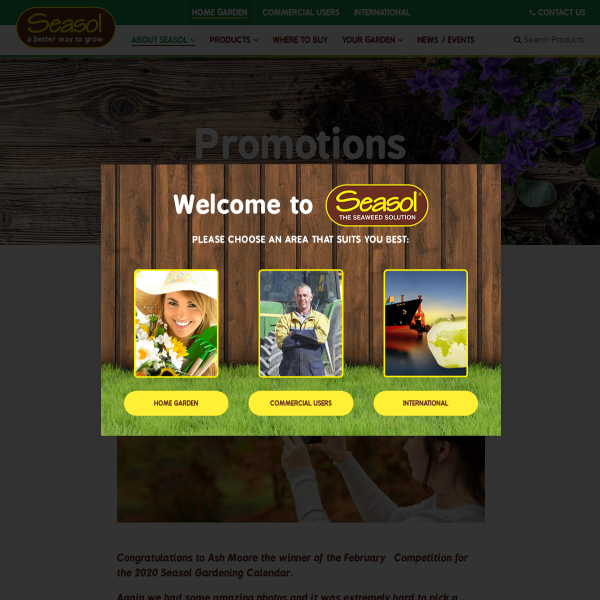 Winning entrants will not be eligible to enter future months of “Help Us Create a 2020 Seasol Gardening Calendar”. Seasol cannot accept any responsibility for any damage, loss, injury or disappointment suffered by any entrant entering the competition as a result of accepting any prize. This is an email ONLY competition and no correspondence will be entered into. Attempts made by entrants to do so may void entry.